The past week saw hardliners of the Bush administration launch an unprecedented attack on its critics. Leading this assault was Secretary of Defense Donald Rumsfeld in a speech before the American Legion on August 29, 2006. All major news organizations – including the Los Angeles Times, the New York Times, the Washington Post, USA Today and CNN – interpreted Secretary Rumsfeld’s rage as targeting administration critics. But when Pentagon spokesman Eric Ruff was asked about these statements he denied that Rumsfeld had attacked any war critics. Mr. Rumsfeld allegedly addressed a “broad array of people and organizations.” In a remarkable move, the otherwise trigger-happy Pentagon declined to name any of them. Throughout the administration’s tenure Rumsfeld has been seen as the Teflon-like communicator with an unwavering stand as the architect of three major wars and even facing growing demands for his resignation. So what was the triggering event that made this man lose his temper in such an extraordinary way? Since the Pentagon and the Bush administration are apparently unwilling to reveal what triggered this rage, we have published the answer in the September 7, 2006 edition of The New York Times. In this most recent open letter, Dr. Rath explained that Rumsfeld’s attacks were directed at The New York Times for publishing the message that unmasked the Bush administration’s plan to launch WWIII. Donald Rumsfeld’s attacks were a direct reaction to the following facts: 1. Dr. Rath’s open letter revealed the hidden WWIII agenda of the Bush administration; 2. The New York Times was courageous enough to publish this plan; and 3. The combination of these two facts makes it impossible for these plans to be executed. The text of Dr. Rath’s August 25, 2006 open letter in The New York Times can be downloaded here. In this open letter, Dr. Rath tied together the many seemingly separate events that have set the stage for a third World War. Among these are the destruction and occupation of Iraq without cause, the newly established presidential directive allowing the use of nuclear weapons in a preemptive strike, the escalation of violence in the recent conflict between Israel and Lebanon, and the passage of draconian legislation that threatens individual freedom and privacy domestically. The preparation for a war that inevitably would include the weapons of mass destruction and result in the death of millions of people is an accusation not easily made against anyone. Moreover, such an outrageous step of preparing for WWIII cannot be explained simply by the desire to gain access to oilfields. “Only the foreseeable economic loss of catastrophic proportion can trigger such a drastic action: this is the imminent collapse of one of the largest investment industries, the multi-trillion pharmaceutical business with disease,” says Dr. Rath. In order to protect their investments in the global market with patentable drugs, the pharmaceutical stakeholders have systematically suppressed even the most basic knowledge about natural, non-patentable health documented in every textbook of biology for almost a century and have obstructed its application to medicine in favor of their patented chemical drugs. As a direct result of this decade-long suppression of life-saving health information in favor of constructing the multitrillion dollar investment business with disease, tens of millions of people have died unnecessarily from diseases that could be eradicated by now – including heart disease, cancer and other widespread health conditions. The pharmaceutical investment business has now been revealed as the largest fraud in history, promising health but, in fact, promoting diseases as the very basis for its ongoing business with patented drugs. The continuation of such an unscrupulous business conducted at the expense of the health of millions of citizens is only possible if democracy is replaced by a totalitarian form of government with direct access to executive power by the pharmaceutical industry. This is precisely the common denominator of the Patriot Act, Homeland Security Legislation and the Biodefense Act – all brought into effect by the Bush administration under the pretext of fighting terrorism. The only way to make the American people ‘voluntarily’ concede their democratic rights in favor of a dictatorial rule is to create a psychological state of fear far surpassing that of 9/11. The only conceivable event of such magnitude is a world war that includes the use of weapons of mass destruction. 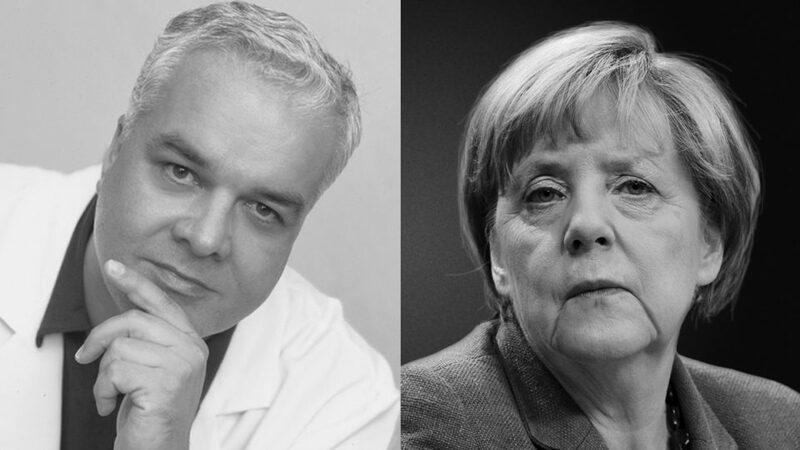 Dr. Rath is fully aware that the accusation of initiating a war with weapons of mass destruction risking the death of millions of people is a severe allegation. However, considering the magnitude of the crimes committed by the pharmaceutical business with disease, the fear of its perpetrators being held accountable for these crimes is a strong motive to initiate the unthinkable. Now it is clear why the pharmaceutical industry was the single largest donor of George Bush’s election campaign and essentially carried him into the White House. Moreover, we now also comprehend why Donald Rumsfeld, the highest decorated pharmaceutical executive in U.S. history, was appointed Secretary of Defense giving these interests direct access to authorities which can launch global wars. Thus, it is not surprising that it was Secretary Rumsfeld who first picked up on the devastating revelation of the Bush administration’s WWWIII plan by Dr. Rath in The New York Times. Moreover, his rage towards the media was nothing more than an attack against The New York Times for having made the decision to publish the Bush administration’s WWIII plans. It does not take a degree in psychology or political science that Rumsfeld’s erratic reaction confirms that Dr. Rath’s analysis published in The New York Times on August 25, 2006 was accurate. Moreover, with the WWIII agenda of the Bush administration now being public knowledge, their time is running out. Over the next few weeks, the entire world will see an international military escalation of an unprecedented scope. Never before in the history of mankind have we been closer to a nuclear war than we are right now. In this dramatic situation Dr. Rath raised his voice again in the New York Times edition of today, September 07, 2006. 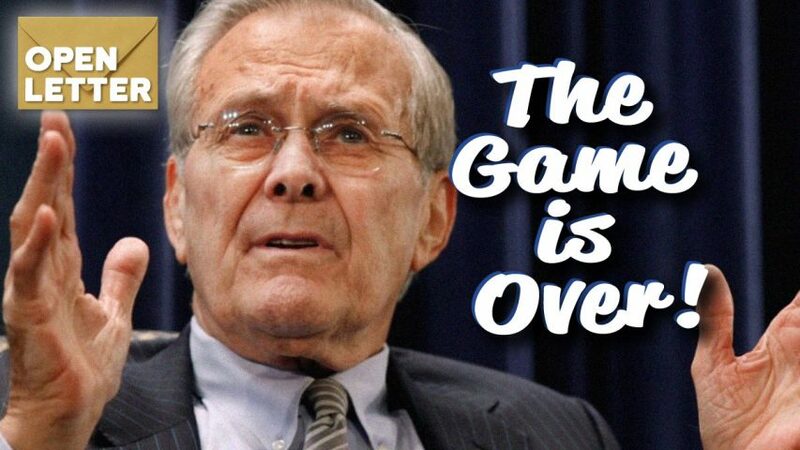 Dr. Rath’s open letter today has the title: “George Bush, Donald Rumsfeld: The game is over!” It confronts the Bush administration with the undisputable fact, that – after essentially confirming their WWIII plans through last weeks rage campaign – these plans can no longer be executed. Says Dr. Rath: Telling the most powerful government in the world that their game plan of launching WWIII has just evaporated, is not an everyday occurrence. Having that message published by the most influential newspaper in the world is not commonplace either. Thus, to all intents and purposes, September 7, 2006 marks a turning point in history. With the plan gone to incinerate our planet in order to continue one of the most malicious investment businesses, the pharmaceutical business with disease, mankind can now focus on peacefully building a new world order that is no longer controlled by the drug and oil cartel, rather than by the needs of the inhabitants of our planet now and in future generations.